2010 Shearing Weight: 5 lbs. 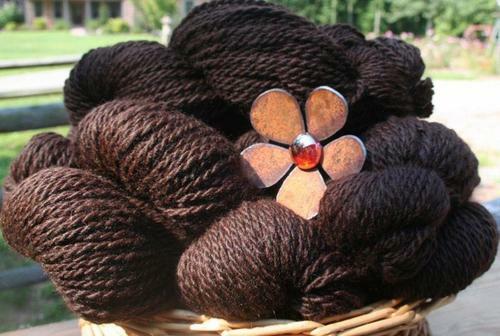 Esperanza has correct conformation and wonderful coverage from topknot to toes. Her fleece is very dense, fine and uniform with a high frequency, high amplitude crimp . With Legacy on one side of her genetic pool and Dark Shaddow on the other, we are thrilled to add Esperanza to our herd - specifically to be a breeding partner to BEETHOVEN! 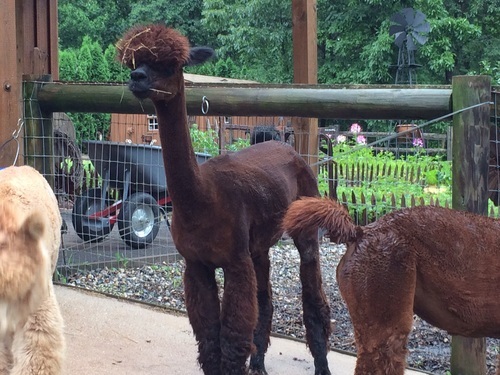 Esperanza's first cria was a healthy female out of Crescent Moon's Velocity. 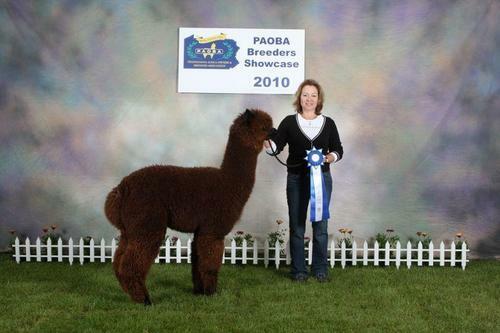 "VAC's Plum Merlot" is a beautiful shade of dark chocolate brown and brought home 1st Place ribbons from the 2010 North American Alpaca Show and PAOBA! Esperanza's 2010 was another lovely daughter, VAC's Symphonic Rhapsody! Rhapsody has the gorgeous phenotype that her sire Beethoven is stamping out along with light brown crimpy fiber. 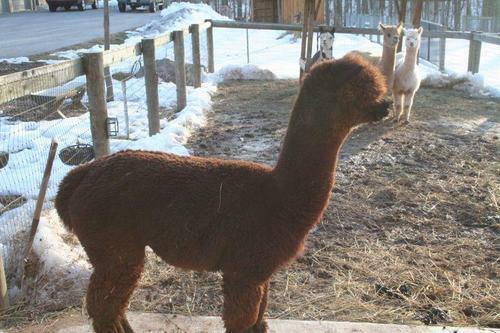 Plum Merlot is beautiful girl with great conformation and her fleece quailities are outstanding. Her color is dark chocolate brown with a hint of purple. 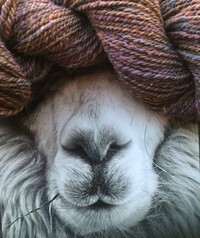 My favorite yarn! 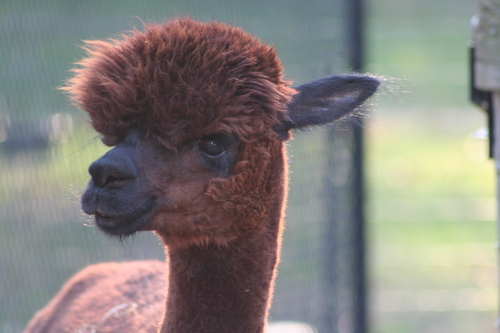 Merlot first cria was from 12X champion Beethoven a beautiful bay black female "Symphony" she proved to be and excellent mom with plenty of milk and a problem free delivery! 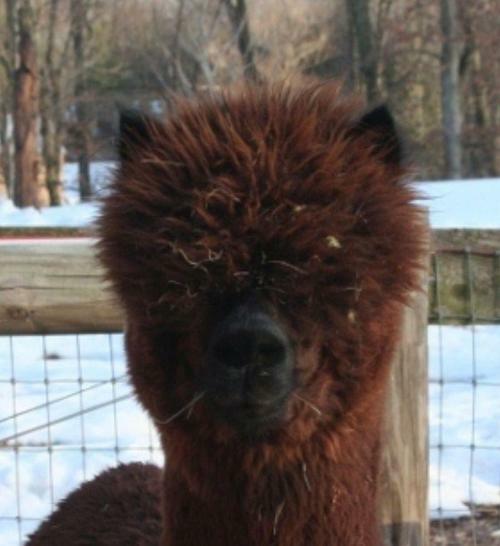 We rebred Merlot to 6x champion LAAF Campeon and she gave us another true black male "Ace of Spades"
She has been a great producer for our farm.